It’s not every day Kim Phipps trades her presidential office in Old Main for a Residence Director’s apartment. But, yesterday the “Big Switch” took place. After Phipps accidentally picked up Residence Director Caleb Miller’s phone at an event, Miller joked that if she wanted his phone, she would have to take his job as well. But, suddenly it became more than a joke. “We both looked at each other and were like, that’s actually a good idea,” Miller said. Phipps spends time with Miller residents. 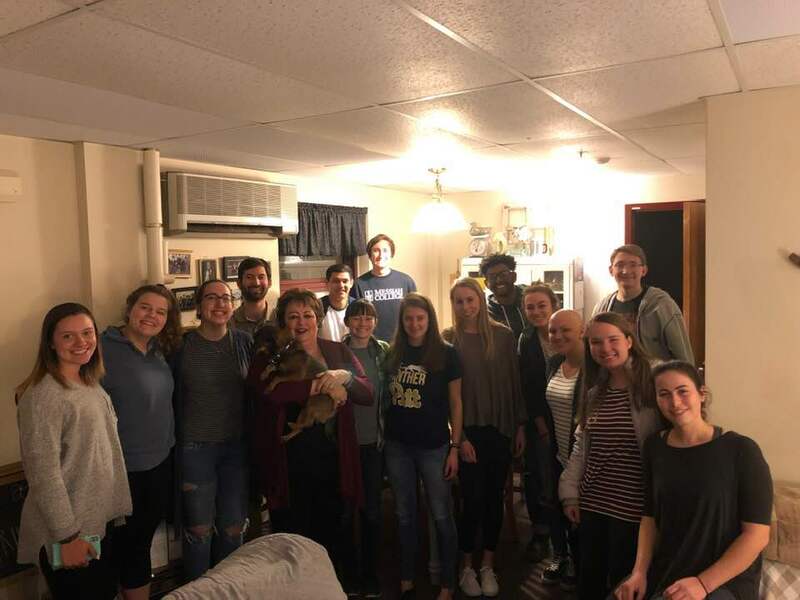 Phipps took Miller’s place and attended RD meetings, spent time in his Miller Residence Hall apartment and met with students and RAs from Miller and Fry Halls. “The swap was a great way to see the intentional mentoring that occurs between RDs, and their staffs,” Phipps said. While Phipps walked the residence halls, Miller talked finances with the President’s cabinet. 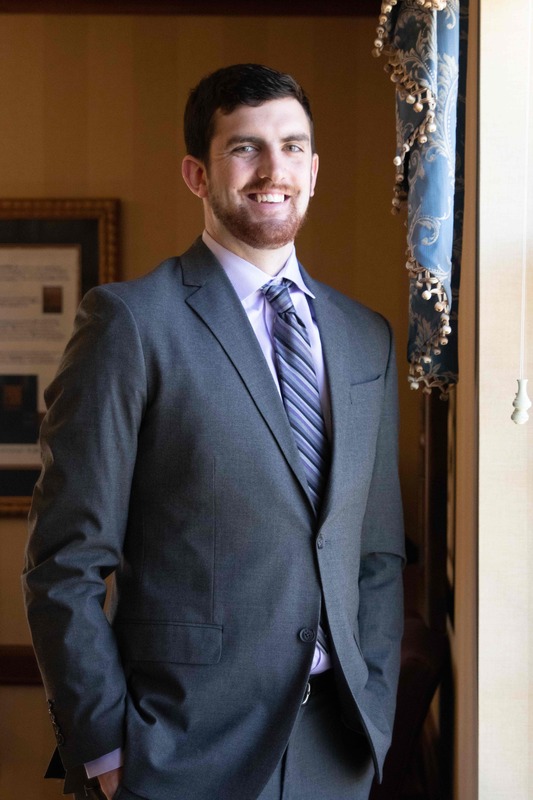 “To see how they really care about students and employees and the impact their decisions make gives me an appreciation for what they do,” Miller said. Miller poses for a picture in the President’s office. However, his favorite part was interacting with students during Open Door Day hours. Miller was grateful for the visitors and concerns brought before him. “It was good to hear students’ perspectives that I might not have heard before,” Miller said. At the end of the day, President and Residence Director met back up at the men’s volleyball game to cheer on the Falcons before Phipps headed to desert night with Miller Hall residents. Through her interactions with students and RDs Phipps was reminded of why she appreciates Messiah. “The Messiah Community is comprised of educators and students who love Jesus, each other and their neighbors,” Phipps said. Fun story, and I’m sure they both learned a lot! I love KP’s quote at the end. Very true. It’s a special place.